This is one of those cases where incremental changes all around make for a drastically improved car. If you were hoping Honda would stay true to the Type R Concept with the production variant then you’re in for some good news. Having just unveiled the hot-hatch at the Geneva Motor Show, we are pleased to report it looks the business. And according to Hideki Kakinuma, Assistant Project Lead for the Type R, who we sat down with moments before the car’s reveal, the new Type R is better in every way than its predecessor. From the outset of the new Civic’s development, Honda knew it would build a Type R.
The result is a beautifully proportioned, well-balanced car Honda has every confidence will appeal to drivers across the globe. The chassis, suspension set up, aerodynamics, and body stiffness are the main areas of improvement over the outgoing model. Having time to ensure these were optimized for the Type R at the inception of the tenth-gen Civic’s development was key to this, and the technological and design solutions sought for the R also benefited the Civic. Power comes from a 2.0-liter turbo-four with a slight boost in output. 316 hp and 295 lb-ft of torque are the headline figures. 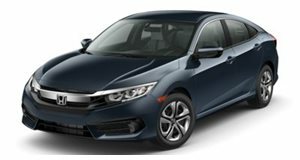 Before you decry these for being only a modest increase, know that Honda isn’t concerned about having the most powerful hot-hatch on the market. Just the best. A remapped ECU combined with increasing the flow rate of the exhaust gases has improved throttle response and drivability when driving at the limit. Weight remains around 1,380 kg (3,036 pounds), so expect a slight improvement in the 5.7-second 0-62 mph time. As a former racing driver, Kakinuma-san loved putting the Type R through its paces on the Autobahn and Nurburgring. “This is a car you can drive fast with confidence. You will enjoy driving the Type R wherever you are in the world.” Especially if you like rowing your own gears. Remember that the Type R will be exported to the US, where manual cars are a dying breed. Nevertheless, a six-speed manual remains the only option but now comes with a rev-matching feature that can be deactivated if you’ve mastered the art of heel-and-toe. An independent multi-link rear suspension comes standard on the new Civic, with the R getting stiffer suspension arms. This was one of the biggest challenges of adapting the car to the US market, but Kakinuma-san is confident American drivers will appreciate the improved drivability that it brings. Comfort mode, Sport mode, and R+ offer there different driving modes, making the Type R softer and firmer than before with Sport mode providing a happy medium between the two. A smoother underbody, front air curtain that's combined with a thin lightweight rear wing and, vortex generators results in best-in-class balance between lift and drag. And when it comes to performance, expect Honda to have another crack at the FWD Nurburgring record at some point in the near future. Built in Honda’s Swindon plant in the UK, the Type R will go on sale later this year, with prices expected to be slightly north of $30,000.